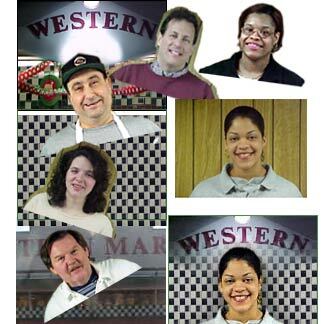 This project shows the elements required to put together a group of individual photos of the staff at a local supermarket for their website. See how we incorporated the look of the store into the finals, (bottom right corner), extracting each person from the greenish paneling. Of course, we could have simply changed the hue of the paneling, but this was much more creative & fun — for them and us!